One of the theories on what killed off the dinosaurs was that the planet’s climate cooled and the giant reptiles couldn’t survive. But now, fossil hunters working in Northeastern Russia have discovered remains of duck billed dinosaurs, Triceratops, and Tyrannosaurus Rex proving that these beasts could indeed have survived in cold climates. 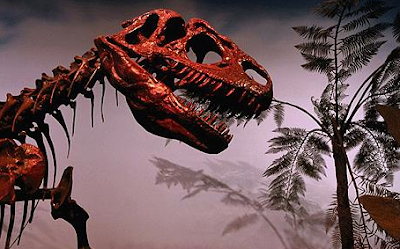 So the debate begins again: what DID kill off the dinosaurs?